I keep trying to get things done and find myself in a constant loop of looking at all the videos, and obituaries and documentaries and teachings of my great teacher Reb Zalman z”l (may his memory be for a blessing). I am wandering around crying or doing one thing or another for a few moments and then wandering back to my state of mourning. So, I am not getting much done. I am sharing links here to various video of him. This first one is only nine minutes or so of him being interviewed and is a sweet introduction. To understand the depth of my sadness and that of so many others you may want to look at the thirty or more different obituaries of him done around the world, or check out the various links I’m putting at the end of this post here. Some of you may have studied with this great man, others may have only heard of him. We mark seven days of mourning after burial and gather in the home of the person who has passed to tell stories, pray and offer support to the family. We light a seven-day candle to hold a space for light and memory in our homes for those we are mourning, mine is burning still. 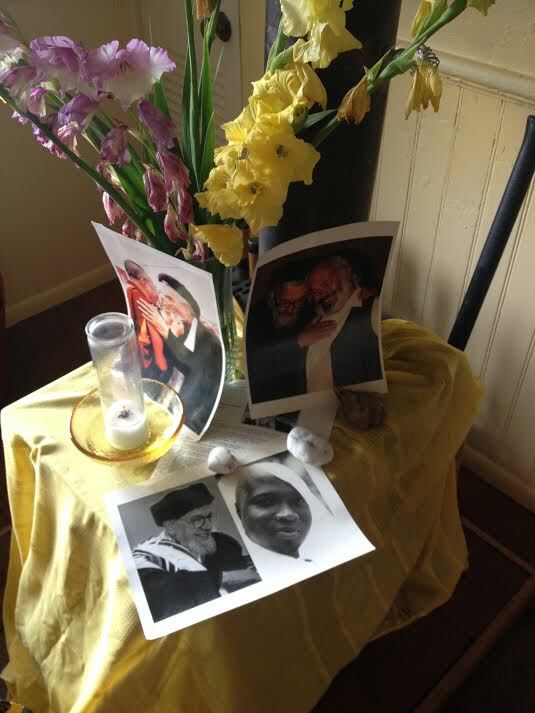 I gathered with some folks at our congregation in California and told stories and said Kaddish for Reb Zalman z”l the day he was buried. I have been reading his books, and watching lots and lots of videos of him offering teachings. This is really all I want to be doing right now. Everything else has no draw or pull to it. I know that I am not alone in mourning right now, even though I sit alone at my home writing these words. In a few days I will drive to my friend’s home in Oregon and we will tell stories and cry and sing and celebrate and mourn together our great teacher. We will swim in the river near her home and try to hold fast to all that has been given to us from him. Luckily, he was truly wise and left behind a tremendous legacy. Reb Zalman donated his papers to Norlin Library in Boulder and there is a permanent Zalman M. Shachter- Shalomi Collection there. 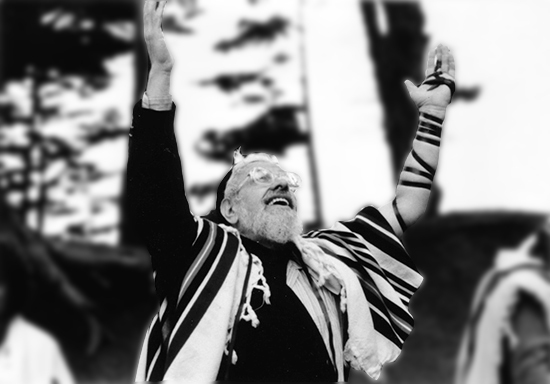 Additionally, there is a foundation, (the Yesod Foundation) dedicated to sharing his teachings and hundreds if not thousands of his students and their students will continue to make Judaism real, thriving, feminist, earth-friendly and alive. I feel so grateful to have had the times I did with this maverick of a teacher and guide and I’m so sad I didn’t have more time in this world to study with him, directly. Now, I will have to spend years moving through all the media, papers, books and stories he has left behind. I will need to seek out and spend time with his closest students and learn from them. This is not a sad thing, but something I long for and delight in. When a great teacher dies, we are instructed to carry their teachings on and to offer in their name and memory. So, I am dedicating myself anew to studying better and more and devoting myself with greater zeal to pursuing Hebrew fluency, Torah Study, and time to davven (pray/commune) with Holiness in stillness and solitude as well as in communion with others, from all religious traditions. May you be lucky enough to have acquired/assumed a great teacher, like I have. If you haven’t yet found that great master consider this your invitation to dive into a body of teaching and work that will change and improve your life and the lives of all those around you. These are just some of the links both to obituaries for my beloved teacher and also for you to explore in your own searches for wisdom, guidance and growth. I hope they will inspire you to look deeper and love stronger and bigger than you can imagine doing.